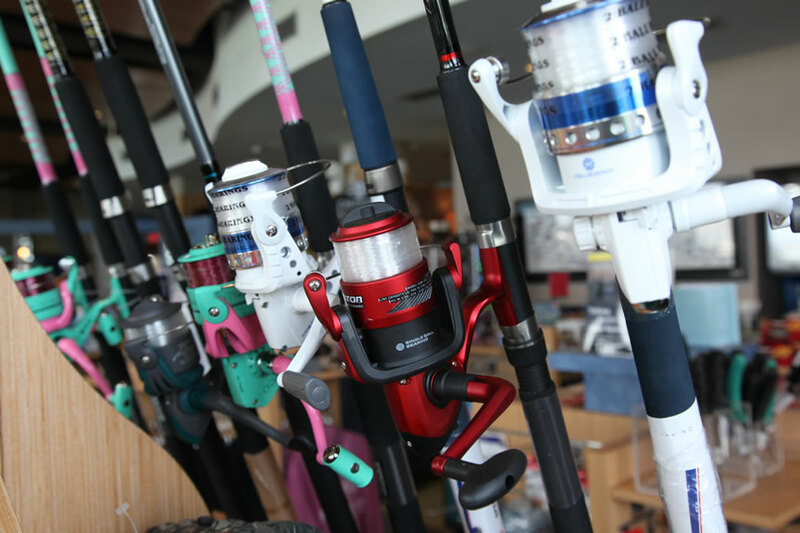 Anglers can find everything they need in the pier house gift shop. Bait for sale includes frozen finger mullet, shrimp, squid and live blood worms. In the tackle area, there are Fishbites, Gulp baits and other plastics such as grubs. Naturally, bottom rigs, hooks, weights, Got - Cha plugs and other lures are available too. Once you've caught your keeper, there's ice and even coolers in the gift shop. Visitors can enjoy ice-cold Pepsi products, ice cream, steaming-hot coffee and make your own milkshakes. A selection of juices, teas and energy drinks are also offered. Enjoy something from a varied selection of snacks including peanuts, nabs, candy bars, chips, sandwiches and hot dogs. 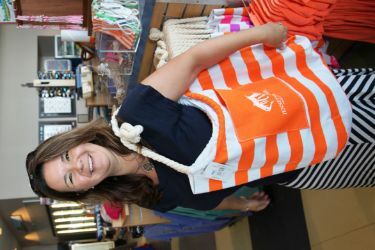 From T-shirts to sunglasses, the gift shop has you covered for a day fishing or hanging out on the beach. There's a wide variety of toys, towels and sun screens. Check out the book nook or grab a post card. Nifty coffee mugs, insulated cups and jewelry make for excellent gifts or souvenirs.